For this edition of PALA Meets, we spoke to Kama Money, aka ‘Ethigal’. Originally a small-town gal from Port Alberni on Canada’s Vancouver Island, she met and married a guy from the mainland, and now lives in Vancouver. From there, she blogs about connecting with her local community and supporting small, independent businesses, especially those with an ethical mission. It’s lovely to meet you Kama, thanks so much for making the time. In your Ethigal Blog, you champion small, local businesses and share your passion for creating community connections. Why do you think it’s so important to focus on small and local? Thank you! It’s great to connect with you as well. Well, I think my main message is that what choices we make in our own communities have ripple effects on everyone else. Even though my passport is chock full of stamps, things have changed a bit since becoming a mom. My family ‘thinks globally while acting locally’, with our love for local farms, museums and small shops. I’m grateful for the chance to be creative + share the stories of our adventures together. On a practical level, shopping small and local is something I can do with my son during weekends and holidays. I’m a full time teacher, so this is what’s doable at this time in my life. I’ve also found that I care more about a piece of clothing or jewelry if I know the designer, or savour the produce if I’ve met the farmer at a local market. It feels good to shop small, and my son loves meeting them as well. Many small shop owners are also moms, and we’ve become good friends both online and off. 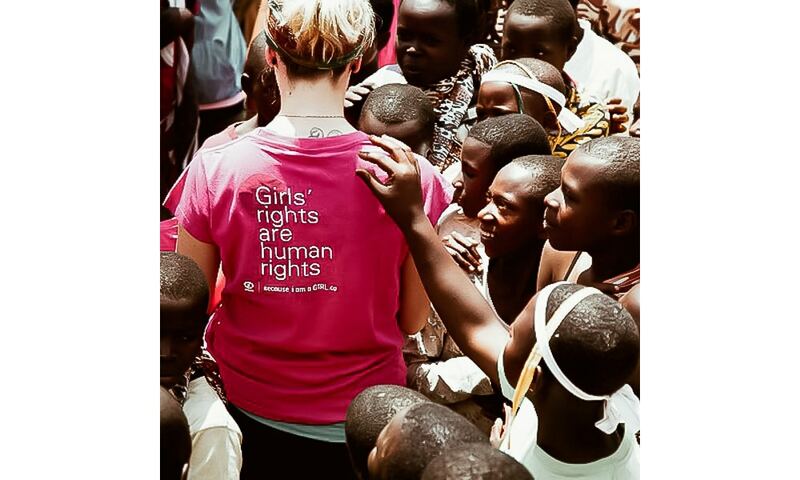 You’ve previously spent time in Kenya and Rwanda, helping to build schools and learning about community cooperatives. How have these experiences shaped how you now engage with your own local community in Vancouver? Ahhh, yes. It seems sort of surreal looking back on it, but I was honoured to be sponsored for trips to Africa, two summers in a row. 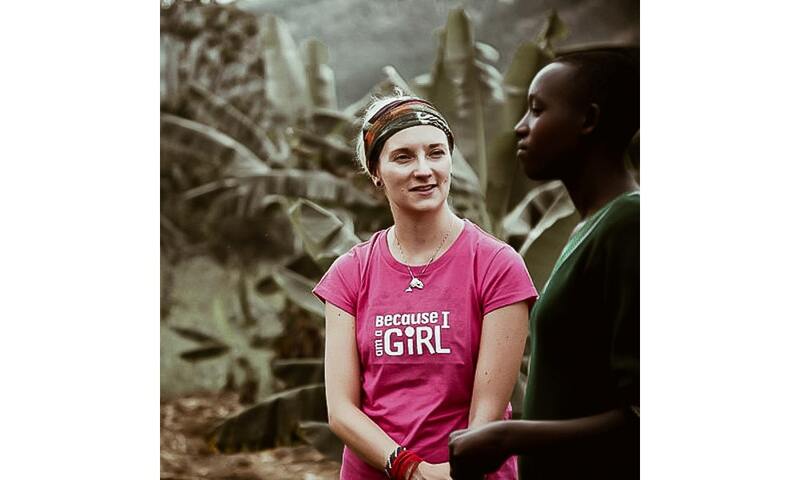 My travels to Kenya with Red Rose Tea + Me to We, and Rwanda with Because I am A Girl + smartwater provided powerful opportunities to learn first-hand about corporate social responsibility + women’s cooperatives. My favourite moments were the long, hard, sweaty days building schools alongside locals and also talking with women about how their pig cooperative gave them money, independence and respect within their communities. Early in my career as a teacher, I began working with at-risk youth, which inspired my MA in Community Development + Adult Education. The dynamics of poverty, employment and health are very different in Canada, of course. I did learn that the most effective community development cannot come from the outside in—it has to be grassroots. The solutions need to come from the community, for the community. Of course, it helps to have tools, training & employment programs and healthcare to help make that happen. On an everyday basis, I try to remember this and provide my students with the necessary knowledge and tools for them to confront challenges in their own lives–and their own communities—themselves (and with others). It’s an exciting time, as our provincial curriculum is now more inquiry based and allow students to choose how they learn and demonstrate their knowledge. It’s been rewarding to be able to share my experiences overseas with my students—I’m proud that I’ve had two students follow in my footsteps with fully-funded grants to volunteer with non-profits in Uganda themselves. It sounds cliché, but you come back a changed person with a different worldview. As well as your passion for local, you also focus on ethical and sustainable brands. How do these two interests align – it is possible to act locally while continuing to think globally? I sure hope so! Especially with the advent of social media and online shopping, it’s easier than ever to learn about, and buy, conscious global brands. As you’ve mentioned, I’m originally from a very small town and some things you just can’t buy locally. Instead of traveling an hour (or even three!) to the closest malls and big-box stores, I learned to surf the net and find conscious brands to support. I don’t know if any of us has a perfect equation for this, but when push comes to shove, I’d rather support an ethical brand that provides good value. In most cases, if I can’t find something that’s made locally, I will look into getting it globally. What advice do you have for those of us wanting to better engage with and support our own local communities? Well, I moved here a year and a half ago, and didn’t know anyone. I’ve found that social media has been a great way to find out about local events and businesses. Trust me, it takes an incredible amount of guts to arrange a babysitter, put on a decent outfit, do your hair and makeup, and show up alone to an event—especially one where it seems like everyone already knows everyone else. I’d recommend you dare yourself to do it anyways, find someone else who is also alone, smile, put out your hand, introduce yourself and ask them questions about themselves. Chances are, they’ll be relieved you make the effort to connect with them. I just did a business evaluation and realized that 99% of my paid contracts are coming from local people, who I’ve met in person and kept in contact with afterwards on social media. The other 1% are random approaches… this percentage is now actually growing as my Instagram and blog are gaining traction. I challenge you to be brave and go to local events, farmer’s markets, artisan fairs and introducing yourself to one or two new people. It will make a difference, and your network will quickly expand. Volunteering is also a great way to support a local cause and make new connections! The blog is going from strength to strength and you’ve recently reached 10k Instagram followers in only a year. What’s next for Ethigal Blog? Yes—It’s been a year of huge learning curves and lots of trial and error! I’ve reinvested every cent I’ve made this year into a new camera and lens, Adobe Lightroom, a course on how to build an organic and highly engaged Instagram, and also courses in SEO, copywriting, photography, and ‘how to run a business as a busy mom’. Now with a solid foundation, I hope to continue supporting small local and global brands and to continue building my blog and social following. I aim to work with some big businesses in the area of corporate social responsibility and with non-profits to help with their fundraising efforts. The ball has already started to get rolling on both of these fronts, so stay tuned for some exciting announcements coming soon on my blog and Instagram! Thanks for taking the time to get to know me a little bit.